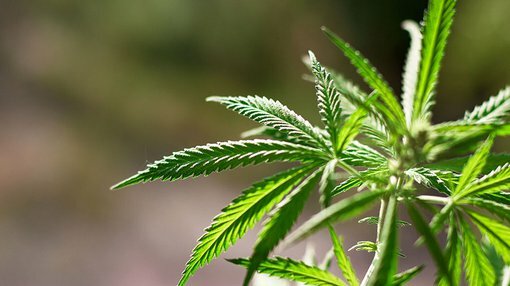 Creso Pharma Limited (ASX:CPH) today informed the market it has gained a footprint in the strategically important Latin American medicinal cannabis market with the proposed acquisition of Kunna Canada Ltd., and its wholly-owned Colombian subsidiary, medicinal cannabis group Kunna S.A.S. The crucial acquisition would make CPH the only ASX-listed medicinal cannabis company with direct exposure to the Colombian market — representing a key step in its efforts to penetrate Latin America’s medicinal cannabis market now including Argentina, Colombia, Chile, Mexico and Uruguay. It will also mean the company will be one of the few, globally, with the capacity to commercially cultivate medicinal-grade cannabis in the country. The proposed acquisition is for a total of US$7.15 million in shares to be issued at a deemed issue price of A$1.10 each, up to US$1 million in performance shares at a deemed price of A$1.10 each, and a US$250,000 exclusivity option payment payable immediately. Kunna has been granted a licence to produce, manufacture, market and export cannabis derivatives and products using extracts in Colombia by the Ministry of Health — and is anticipating receiving its licence to cultivate medicinal cannabis in Colombia in the first quarter of CY2018. “The acquisition gives Creso a strategic foothold in the growing Colombian market and also the opportunity to further expand across the strategically important Latin American region,” CPH Co-Founder and Chief Executive Officer, Dr Miri Halperin Wernli said. It should be noted here that CPH is in its early stages in this region and investors should seek professional financial advice if considering this stock for their portfolio. What makes this latest development from Creso particularly favourable is the fact that the Colombian government has taken steps to significantly soften its medicinal cannabis legislation in the last 12-24 months — including the legalisation of medical cannabis in June 2016. In April 2017, the Colombian government issued a decree outlining the framework for the cultivation, production, and domestic and international distribution of low and high THC-based medicinal cannabis extracts. Following that, it has enacted multiple resolutions relating to application fees, security requirements, quality controls and regulations around distribution. The regulations also allow for legal exportation, which is likely to have a positive flow-on effects on the country’s scientific and agricultural industries. The Colombian government’s latest legislative changes are not only ground-breaking, they could also set a new standard for other Latin American countries as they respond to the growing consumer demand for medicinal cannabis. This is a crucial factor, considering the list of advantages to growing cannabis in Colombia, including its equatorial location and ideal microclimates, and its history of expertise in the flower industry. It is one of the most economically advantageous countries in the world for the production of large volumes of high-quality, low-cost cannabis. It is projected that by 2019, Colombia will contribute over 40.5 tonnes of cannabis derived oil to the burgeoning global medicinal cannabis market. The market for medicinal cannabis in Colombia is growing at a rapid pace, with consumption increasing 15 per cent per annum between 2008-2013. Today’s news comes on the back of previous CPH announcements relating to its growing footprint in the Latin American market for its human and animal health nutraceutical products, including agreements relating to Argentina, Chile, Mexico and Uruguay. In March this year, the Ministry of Health granted Kunna a licence to produce, manufacture, market and export cannabis derivatives and products using extracts in Colombia — making it one of small number of companies to have such a license. It has now applied for a licence to cultivate medicinal cannabis in Colombia and expects this licence to be granted in the first quarter of 2018. In anticipation of receiving this licence, Kunna announced a research partnership with the ‘GIEM’ group, which investigates plant genetics, disease and the optimisation of plant cultivation. Kunna already owns land that is suitable for medicinal cannabis cultivation and is currently progressing the first stage of its cultivation and fertiliser research project. As mentioned, the anticipated cultivation license for Kunna will provide CPH a significant competitive advantage globally, giving it the unique strategic advantage of being able to commercially cultivate medicinal-grade cannabis in Colombia. It will also enable CPH to greater integrate its supply chain, allowing it to produce a larger range of cannabis products which can be offered to the local and broader Latin American market.